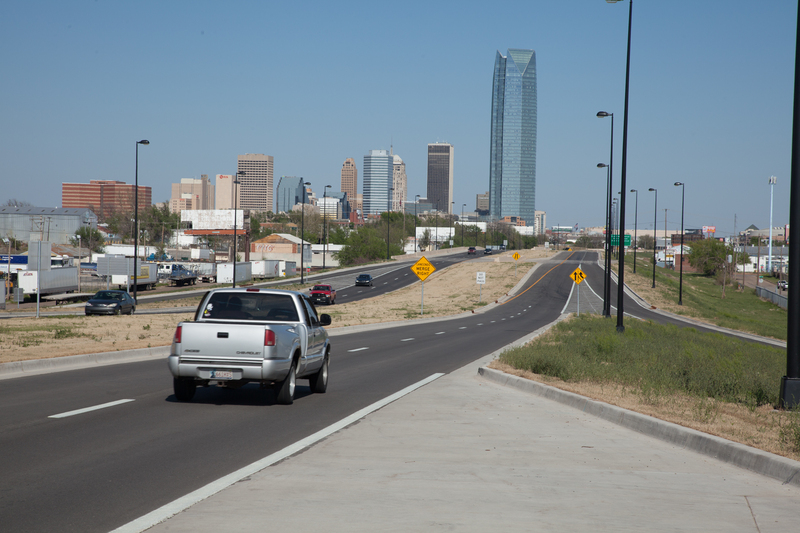 Oklahoma Department of Transportation’s $9 million I-40 West End Connection project reconnects the relocated I-40 with the west end of Oklahoma City, easing congestion and providing commuters with another option when leaving or entering the city. The connection is part of a huge project to relocate I-40 improving the flow of traffic and redevelop the city. The West End Connection paves the way for a future pedestrian friendly boulevard to usher in new development and business opportunities into the heart of the city.